We need rain. Despite the lack of any falling water, I've been able to somewhat catch fish here and there. It's been pretty slow but now that its been warming up (a lot near 70s for the past few weeks) spring is fast fowarding. Although I believe there won't be any rain soon I'm hoping the spring turnover will happen quicker this year. 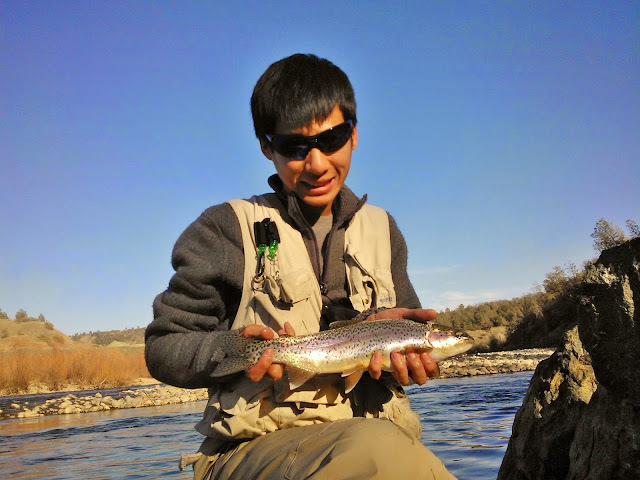 The North Fork flows have been pretty low around 250 CFS. I caught my first fish of the year there and tried again the following weekend with no success. We will have to wait to see how this is going to affect the future hatches that are going to be coming soon. The Yuba River is also low around 750 CFS and I read that Englebright dam is the only dam that has a significant amount of water in comparison to the other reservoirs around here. I have been fishing the same spot and constantly hook up at least once of twice in the day which is better than I usually do on this river. There seems to be a lot of fishermen focusing above the bridge which is ideal in theory, however due to the low flows it can be hard to find a decent spot and a fish that is willing to take. 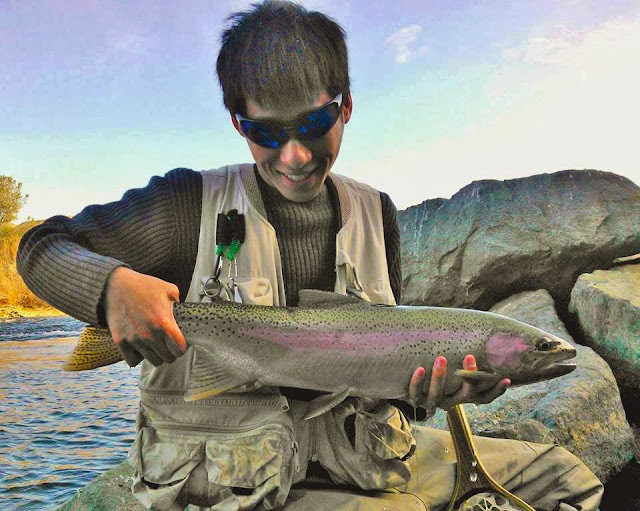 We've been getting bright sunny days for the past couple of weeks so its best to fish early in the morning or later in the afternoon. There were a few skwalas laying eggs in the afternoon and the dries were working. Not a lot of people on the river yet, once the skwalas are in prime there will be fishermen everywhere. Manda and I went camping at Collins Lake and I was hoping to hook up with some fish for dinner for the weekend. Despite my best efforts I went home empty handed and was saved my the extra food my girlfriend packed. I didn't see anyone catch anything the whole time there except a one person who had a springer with a trout on it. There were quiet a few fishermen on the banks and boats everywhere. One of the few reasons I'm not too big on stillwater fishing. The website posts a fishing report of people hitting the limits there. Collin's Lake wasn't always known as a great fishery but really? Ramble ramble ramble.